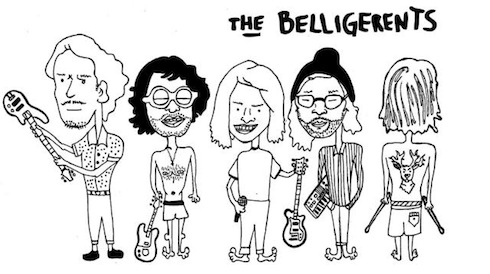 The Belligerents are an indie pop band born and bred in Brisbane, Australia. After the success of their debut EP, Less Arty More Party, released in 2011, they are now gearing up for the release of their new EP, which was recorded at Airlock Studios with Yanto Browning (The Medics, Jungle Giants, Tara Simmons). The first single is called “Infatuation” and it’s already available on all download platforms. Catchy is the key word here, with hooks so sharp they should be illegal. Now wonder The Belligerents have already shared stage with some pretty big names, like Metronomy, Neon Indian, Breakbot, Yacht Club DJs, Bleeding Knees Club or Last Dinosaurs. Keep an ear out for the new EP, out next May!